“I am the master of my fate, I am the captain of my soul”. In the poem Invictus, Henley sums up the resilience of the human spirit and strength during adversity. Henley was no stranger to crisis; he suffered tuberculosis from the age of 12, resulting in the amputation of his left leg at 16. In 1894 his only daughter died aged 5, after battling illness since birth. It is this rallying cry under which the competitors of this year’s Invictus Games come together, using sport to overcome injuries both physical and mental. 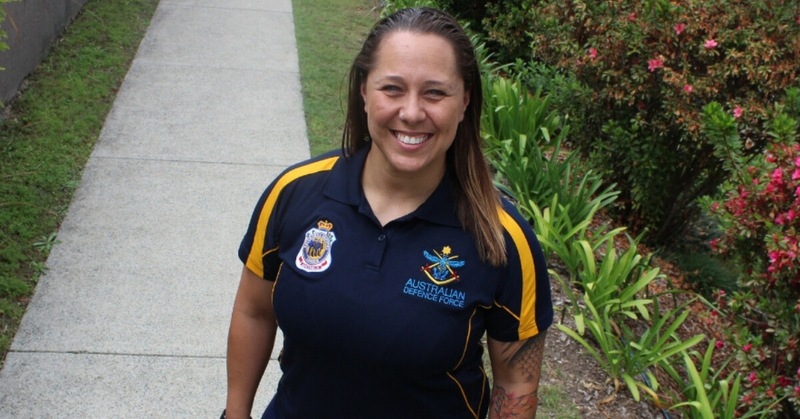 Sarah Petchell is a Brisbane mum, chaplain and defence force member who will be competing in the games which kick off this weekend in Sydney. “I have quite a few injuries and I suffer with chronic pain, and that can be really mentally draining. Having that pain always there can really bring you down”. Having served in the army for most of her working life, both with the reserves and a full time stint with the 6th Battalion Royal Australian Regiment, Sarah found herself suffering from a range of injuries. She had chronic pain in her back, shoulders and feet, and after having represented the ADF in Rugby Union, Sarah looked to sport as a coping mechanism. In 2014 a friend suggested she try powerlifting and although she had never heard of the sport, Sarah found it was a natural fit. “I discovered very quickly I was strong at all the lifting disciplines. In my first year of competing I finished 6th in Australia, and then eventually made it to 1st, competing for Australia on 3 occasions at the World Championships and Commonwealth Championships”. 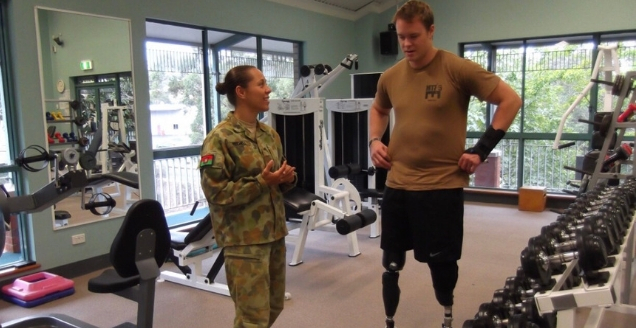 Sarah Petchell with Curtis McGrath OAM in the Soldier Recovery Centre. During her time with the army Sarah helped to set up the Soldier Recovery Centre at Gallipoli Barracks in Enoggera, as well as assisting service men and women as they prepared to deploy overseas. This passion to serve others led to working as a chaplain in civilian life, and Sarah now supports the children and families of the Lady Cilento Children’s Hospital School and the Enoggera State School. Although the roles are very different Sarah says she loves journeying alongside the kids. “I love giving them hope and telling them that their situation is not impossible”. The Invictus Games begin this weekend in Sydney, and as well as competing in powerlifting Sarah will also take part in the discus, shot put and indoor rowing events. At first she was reluctant to compete in the games because of the nature of her injuries. Unlike many in the Aussie team she has all her limbs but what Sarah discovered was how training for the games helped people who were suffering muscular-skeletal injuries like herself, and those doing it tough from their unseen mental trauma. “When I struggle with the pain that I experience every day, training gives me a reason to get out of bed, it gives me a reason to be ‘on’, and that helps me be a better mum and a better chaplain. It all works together to help me be the best person I can be”. Sarah explains that the Invictus Games is helping to change the conversation around mental health, and puts people in a place where everyone understands them. It’s also a place where the competitors support each other during competition as they battle against their injuries and illnesses, and where they can step out, be brave and be courageous. As Sarah puts it – “These are the values of the people who have served in the military, and the Invictus Games gives them the chance to excel, to be accepted and loved, to be cheered and applauded and be understood”. 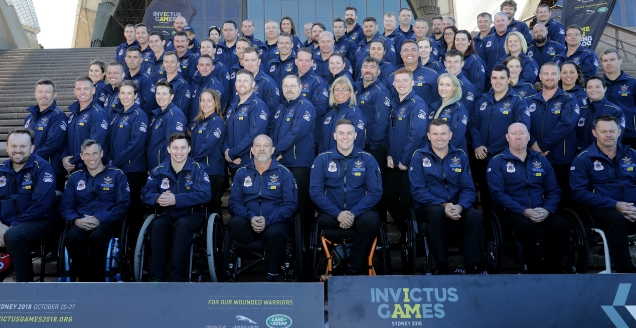 The Aussie Team ahead of the Invictus Games in Sydney. You can follow the Aussie team and all the action from the Invictus Games with the coverage on the ABC.